As with every other issue in life, people are prone to view the Israeli Palestinian conflict in different ways. There are some who look at it from a religious angle because the disputed territories (which are the main cause of the conflict) are historically associated with Christianity, Judaism and Islam. There are some who view it from a humanitarian angle. These people feel that it is unfair for one nation to segregate and deny another nation of the right of statehood. Then there are those who view it from a historical angle. To these people, the best way to solve the conflict is to go back to history to determine who rightly owns the disputed land. There are those who view it from the legal angle. To these people, the best way to end the conflict is to determine who owns the disputed land based on international law. Then there are those who view it from an esoteric angle and as with everything in life, it is the esoteric view that perfectly explains the significance of the conflict. 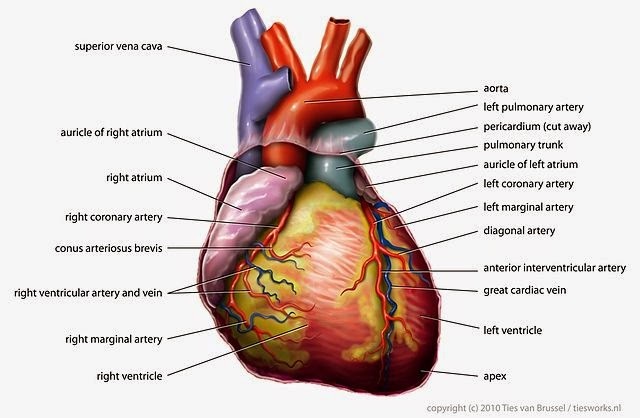 The human heart is the center of the human body which supplies blood (life) to every other part of the body and when the heart fails or does not function properly, the rest of the body dies or does not function properly. i.e the state of the heart is directionally proportional to the state of the rest of the body. The Kaballist's tree of life, aka the forbidden tree in the Bible i.e The tree of knowledge of good and evil. It is a micro-cosmic/macro-cosmic representation of the universe. It is called tree of good and evil because it consists of 2 opposing parts, the good/ upper/right part and the evil /lower/left part. 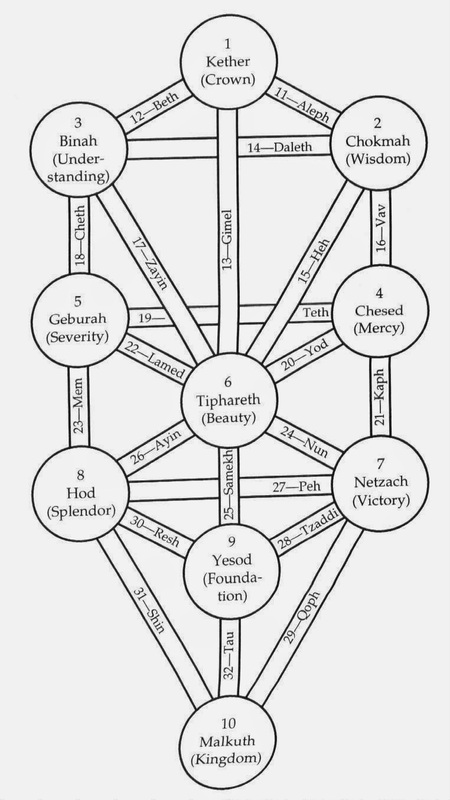 Kaballists divide their 'tree of life' into 10 Sephira (spheres) and on the tree of life, Tiferet (Tiphareth) is equivalent to the human heart. It is the center of the tree and the 'mediator' between the sefira of Chesed (compassion) and Gevurah (strength and judgment). Either of them (Chesed and Gevurah) without the other would not be able to manifest the flow of 'divine' energy and that is why they must be balanced in perfect proportion. 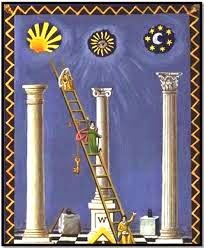 This balance is reflected in the role of Tiferet, wherein the conflicting forces are harmonized, and creation flows forth. Notice from the diagram above that Tiferet occupies a place on the middle pillar. This symbolizes the fact that it is a lower reflection of Kether, as well as a higher reflection of Yesod. 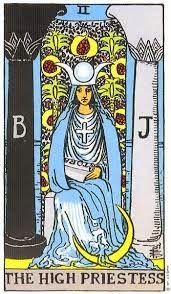 i.e In Tiferet, Kether ( the Higher) and Yesod (the lower) energies are integrated and balanced. Those of us who know about the human heart should know that the heart is divided into two sides: the left heart and the right heart. The right side of the heart corresponds to Chesed (Israel) while the left side of the heart symbolizes Gevurah (Palestine). Gevurah is understood as their god's mode of punishing the wicked and judging humanity in general while Chesed is their god's loving-kindness,'mercy' or 'love' towards the wicked. Tiferet is believed to be justified through Gevurah into the bounty of Chesed I.e Chesed is the reward when people survive the judgment of Gevurah and are thus balanced into Tiferet. Those of you who know a thing or two about politics ought to know what the Left and Right wings of a particular party (or in Politics generally) mean. The Right wing is the wing that is resistant to change. In the right wing, social hierarchy and social inequality is viewed as either inevitable, natural, normal, or desirable. On the other hand, the left wing is the wing that is open to change. It is the wing that accepts or supports social equality, and is often in opposition to social hierarchy and social inequality. Israel (Chesed, the right side) is the side that resists a change in the status quo. It is the dominant force that dictates all the major actions and decisions that are taken in the region and it has used it's power to deny the Palestinians of the right to statehood. It is the side that has to show mercy on the weaker side in order for peace to reign. Palestine (Gevurah, the left side) is the side that desires change and equality. It demands an end to oppression and the right to be an independent state. It is the side that has to endure severity until the so called 'perfection'/unification of things. The integration of submissive and weak Palestine to dominant & rigid Israel signals the arrival of the New World Order of oneness. 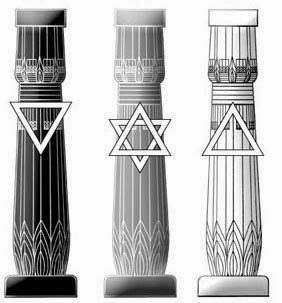 Masonic diagram which represents the gevurah, tiferet (the middle column) and chesed. Notice the sun, the eye above the middle pillar and the rays that emanate from it (The eye is called Sirius) and the Moon (with 7 stars, the stars are referred to as the seven sisters of Pleiades) above the pillars. "And lest thou lift up thine eyes unto heaven, and when thou seest the sun, and the moon, and the stars, even all the host of heaven, shouldest be driven to worship them, and serve them, which the Lord thy God hath divided unto all nations under the whole heaven.But the Lord hath taken you, and brought you forth out of the iron furnace, even out of Egypt, to be unto him a people of inheritance, as ye are this day. 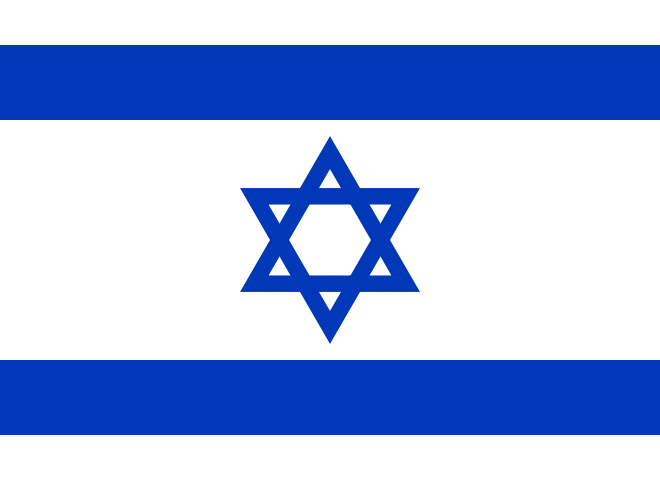 Deut 4:19-20"
The Flag of Israel. It consists of two interlocking triangles on a white background. The interlocking triangles are referred to as the Seal of Solomon because they represent the union/reconciliation of the upright triangle sol (the sun god) and the lower triangle the moon (the goddess) in order to produce a balanced being. i.e sol o mon=sol and moon: sun and moon"
The Masonic temple of Solomon (A model stolen from the Bible and made to fit into their satanic agenda i.e redaction) consists of two columns Jachin and Boaz. Jachin means He will establish while Boaz means in Him is strength. 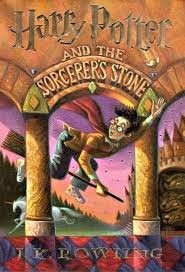 Between the two columns, there is an open eye which represents the so called 'illumination' of the spiritual eye that occultists (occultists because they see and understand things that the ordinary human does not understand) believe that people attain when they balance the two opposing forces in nature. "For God doth know that in the day ye eat thereof, then your eyes shall be opened, and ye shall be as gods, knowing good and evil. Gen 3:5"
Boaz represents Israel, the stronger of the two nations. Jachin represents Palestine, the weaker nation that would eventually be established. The open eye represents the reconciliation of the both of them in order to produce peace, equality and enlightenment. The conflict between Israel and Palestine is not merely about two dissenting nations whose disputes were caused by contentions over the ownership of land. 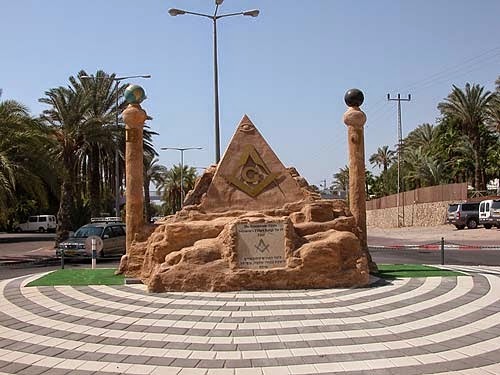 They are well planned Masonic and Kaballistic experiments from start to finish and they were designed to reflect the steps that the occult intends to use to 'perfect' the world and bring their so called peace to it. The conflict over East Jerusalem (One of the disputed territories) is meant to reflect the disorder and chaos that exists in the divided earth. Spiritually speaking, the East represents the enlightened heart, the one that perceives the spirit that animates it. The sun rises in the East: Occultists believe that in order to attain enlightenment, divinity and oneness, the light of the spirit must dawn in the soul/heart and that is why the Tower of Babel was constructed in the East and the reason why the East is known as the home of spirituality. (also known as western ho) is the Name of a 20-by-30-foot painted mural currently displayed behind the western staircase of the House of Representatives chamber in the United States Capitol Building. Note that the West is known as the home of secularism. i.e material consciousness. The occult elite do not care about the frequent blood letting on both sides or about the God in the Bible who chose Abraham and blessed Him. They only care about the agenda of their father the devil. This should automatically take your mind to another symbolic event that was also designed to act as a subliminal of the merger of the two pillars, the September 11 Terrorist attacks i.e Two of the primary towers of the old trade center were destroyed in the attacks and the primary (tallest) tower of the new complex that was built on the ruins of the old towers, (a single Tower) symbolizes the merger of the Father and the Mother into a singular consciousness (son). The New Trade center goes by the symbolic name "One" World Trade Center i.e one consciousness built from the merger of the two.